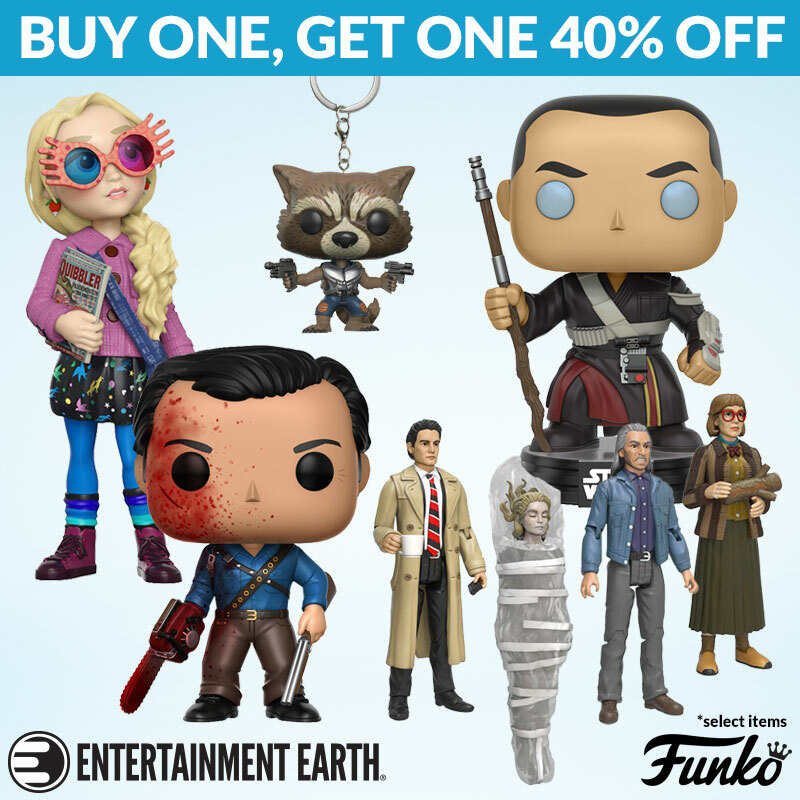 Buy One, Get One 40% Off on Funko! Calling all Funko fanatics… our fantastic Funko Sale is here! For a limited time only, buy one, get one 40% off on select collectibles. Add some Funko-fresh fun to your collection with Pop! Vinyl figures, bobbleheads, plush, ReAction, and Legacy action figures. Click below to shop now and save big! └ Tags: Funko Sale At Entertainment Earth!